Offer: 10% Discount to fill the gap from June 3 - 10 / 2019. Plus one way from Santorini, Mykonos or Paros to Athens with no delivery fees. Send us an inquiry to get specific pricing for Mystique. Thank you for a wonderful sailing trip! You are beautiful people and you made out trip the BEST. I have fallen in love with the Greek islands, especially Paros. We hope to visit again. Many thanks for your hospitality. I cannot thank you enough for making my vacations the best ever! Your knowledge, kind hearts and truly beautiful souls were the most important and meaningful parts of my trip! I have always Loved Greece, but somehow you made me love it more. You were the best hosts and crew and I am so grateful to have sailed with you. My family and I really enjoyed this week on board of the MYSTIQUE. We have visited a lot of incredible islands with wonderful houses and objects. The sunset in Hydra was amazing! My brothers and I have loved the pancakes for snack and all the water toys. And we all enjoyed swimming in the sea! We have had the most wonderful week – thank you. Thanos, for your expert sailing in blistery winds, a brilliant itinerary and endless patience with watersports. Elena, for your masterful cooking and endless cheerfulness as you supplied one delicious meal after another. We love every minute of it! You are da’ Best! Thank you both for the BEST time. You have made it an exciting and beautiful week. You have great patience and gave us such a good guidance as to where to go and what to do. Thanos is a brilliant Captain and Elena, your cooking is wonderful!!! Thank you for the wonderful experience, I will never forget seeing the sea turtle and most of all the GOPRO fall! Chef and Captain! They were amazing! Thank you for the best trip ever! Will miss my favorite Captain and best Chef! This has been one of the most memorable experiences I have had, and a truly spectacular way of experiencing your beautiful country! And this would not have been possible without your expert navigation Thanos, and the delicious cooking Elena, that made our week-long stay on Mystique feel amazing. Thank you so much for your hospitality, the attention you pay to every detail and the effort you put into making every activity fun for each one of us. We would also like to show you how thankful we are for becoming our Greek foster parents for couple of days…we’re sure you’ll be wonderful parents yourself one day. Once again, thank you for everything you’ve done for us (the meals and the activities were incredible). We hope you never forget us! Thank you so much for a lovely time aboard. You guys are always so cheerful, helpful and kind! The meals are all awesome. You have outdone yourself with the menu, variety and presentation. Loved sending time with you! My guardian angel was wonderful! You both have done a wonderful job making our week in the Greek islands fantastic. You are both warm and caring people who always have a passion for what you do. Thanks for your patience with our rambunctious boys for teaching them to water ski!! And thank you (I think) for making me fatter! I mean… thanks for the wonderful delicious amazing food Elena! We have been blessed with opportunities to travel the world. We planned this vacation/ adventure to celebrate our daughter’s 15th birthday. What we did this week far exceeded our expectations. The times we had were unforgettable… The sailing, the ports, the history, the sunsets…and THE FOOD was just amazing. We loved not having an itinerary. We just let Capt. Thanasis tell us what to do, and we were in awe every day. 7 days went by and we felt we were related to Thanasis and Elena. I hope God give us the opportunity to come back again and continue to discover this beautiful country. Thanks Elena and Thanasis from the bottom of our hearts. This was our first trip to Greece and because of you, we did it the best way possible. Thank you for the magnificent itinerary (Seriphos, Milos, Syros, Paros, Kea). The Milos Caves were a highlight, and the pouring rain in Syros during our hike to the top of the hill. Epic! Thanos is truly a superhero (Dock man!) Only a superhero would think of giving a jet lagged 6-year-old the helm to keep him awake. Pulling into dock under Poseidon’s Temple lit up on the hill the first night was amazing! This was truly an amazing trip. We hope to come back for another round of amazing islands! And some more incredible food prepared by a maestro! You two are amazing!!! You made our first sailing adventure a wonderful experience and something we’ll remember forever. Thanos - your captaining of our home away from a home was great and you always made sure all was safe, and fun for everyone. We loved not really having a plan and deciding each day where to go made an adventure carefree. You said yes to everything we wanted to do and made us feel well taken care of. Elena - your cooking was world-class! Really!! We can’t say enough about how our family meals prepared by you each day was such a centerpiece of our trip. It will be hard to finish our vacation and enjoy regular restaurant food now. To you both -thank you for being great people and making our family yours for our week together. This trip to Greece was a celebration! A week later, it ended under the beautiful colors of the sun disappearing in the waters of the bay in Athens. Thank you both for a delightful week filled with excellent cooking, incredible flavors and great discoveries! Stavros you have battled the Meltemi with incredible talent and made it almost pleasant. The kids had a blast and will remember their first official cruise forever! The adults enjoyed every minute of it and we are extremely thankful for a week of rest and happiness! We are so glad, really, we spent a wonderful time. Greece is so nice! You both were absolutely wonderful. You were flexible and very accommodating. You handled our 1 year old with pleasure and created a new best friend. We coudlnt ask for more. We wish you smooth sailing and good winds for the rest of the summer! Thank you for the amazing cruise, despite the weather not cooperating initially! I look forward to my next trip! You are both very special and talented! We came for a vacation of a lifetime! We leave here with friends for life. Thank you for the incredible food and island adventures. Please come visit us in Florida! We could get to visit all the islands we wanted in suvh little time! And finally we got to do it ! Great job!!! Thank you captain Mike. Elena is the most courageous and decided sailor and also the best chef of the Aegean Sea. Thank you for your attention in every moment that we needed. We will take with us the most beautiful memories but also we return to Argentina with two new friends! Love, the best Argentinian group. Next time you will come to our ship as guests. Dont to forget to Giuliana to THE ROCK! You are very welcome to Argentina whenever you want to!!! PPS thanks for being so great with Amara. Elena, we wont be surprised if her first card is in Greek! She loved you so much, and we are so glad she get to make new friends on this trip (she liked you too Mike). Also, Mike, your skill as a captain was as advertised was such an but was such an awesome surprise to find out that you are also such a great photographer. Thanks so much for the incredible photos. The will likely find there way into our living room out of these days. Anyway you two truly made our trip of a lifetime, and we are so lucky not only to have experienced such a beautiful country but also have made two new friends! Thanks for the great job captaining the boat this past week. 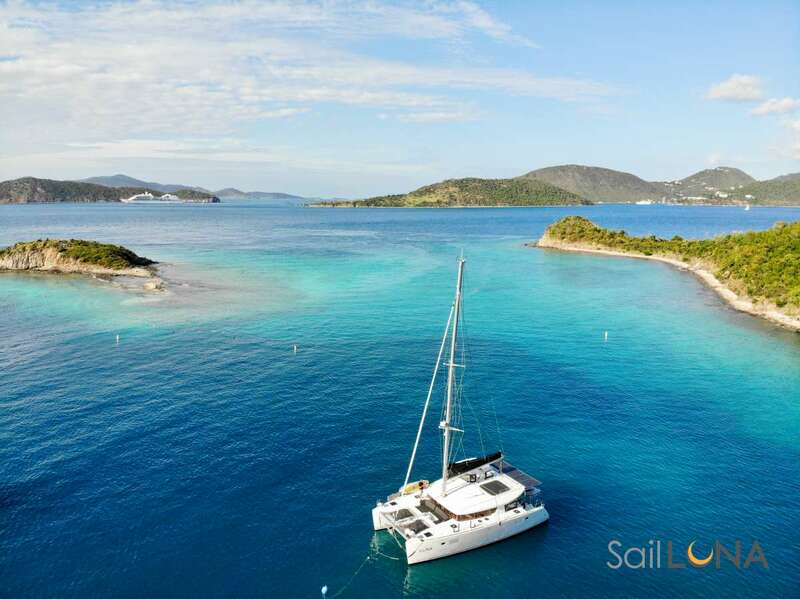 Your guidance on the islands to explore and your experience sailing made our trip wonderful. We really enjoyed sharing this experience with you! Best crew ever by far. Also best chocolate Mike ever. It was very comfy and fun staying with the Mystique and even better with Mike & Helena. I d enjoyed a lot. Thank you, from chocolate bay! Mike & Elena have shown us a memorable week! From exploring the Western Cyclades to the fabulous food, we were over whelmed with beauty! Greek food! Culture, Snorkeling, Tubing, Swimming, Paddle boarding, Kayaking, all in tranquil, aqua blue lagoons.Mike found us hidden gems of vacations. We are humbled by how Mike & Helena have welcomed us to the Mystique and have been friends. We will remember Mikes confident dockings in ports and his impish, calm smile. Elena has taught many tips for Greek foods. We look forward to her future cook book. All the islands are swimming lagoons well worth to get there but what we will remember how much fun we had on board Mystique. We look forward to seeing Mike & Elena! Thank you very much for taking in the Mystique through the calm and transparent ocean on the Cyclades. We ve had excellent moments, it was so fun sharing them with the Captain and his explanations about how to sail! Its been the most wonderful week I could ever imagine and you make it possible. Thank you very much enclosed! We remember you forever! I will always remember the UNO game we played. You have made this experience so incredible for us. This truly has been a trip of a lifetime for us. From the moment we met you we knew we would be done friends. Steves birthday night was memorable. It was one of his better surprises! The food was better than anything we were thought it would be. Thanks for the extra 10 pounds! We really are serious when we say we would love for you two to visit us so we can return the hospitality. You have our contact information and remember the secret to a good marriage of 35 years is Yes Dear, No Dear, whatever you say Dear! What a great week! Touring the Greek isles aboard Mystique was fantastic. You made the trip very memorable. Elena thanks for the fantastic meals, snacks and drinks. I cannot pick a favorite because they were all outstanding! Mike thank you for finding beautiful coves and showing us how to fit in ports that are already full. The shopping, swimming, sunning, water sports, drinking, music, friends, laughter and a great crew with great meals created a vacation we will never forget. Mike you are such a great Captain and Elena you are a great cook. I loves when Captain Mike took us to Santorini and all of the other you took us it was breathtaking and amazing. Elena, your deserts were amazing and your meals were fantastic. My trip was amazing because of you two. I will also miss my floatie time and Mike trying to knock us off the tubes! I look forward to future travels with you both, whether its aboard the amazing Mystique, at on Elenas couch, on another country adventure! Thank you for all the laughs, experiences and an amazing journey aboard the Mystique! The past week has been more than wonderful and a lot of the reason thats so is because of the two of you! Elena the for sure 5 libres Tim gained (happily) was because of your fantastic cooking! You have a talent for sure. Mike you captain the boat perfectly and as a matter with my children on board (even though they are grown adults), I was always sure they were safe! The sailing was absolutely awesome! Both of you are special people and have made this time with our family memorable! Favorite breakfast egg guiche, (muffin size), fruit with honey and nuts and yogurt, baguette and various breads. Favorite lunch the lamb meat balls with rise. Favorite dinner the chicken breast combo. Deserts every single one of them! Thank you for sharing Greece with us! This trip has been full of surprises (calm seas, moonlight private) , caves, 5 stars meals, sense of humor and so much more. I could not have imagined a better time in Greece than what you provided. Our adult family of six is departing today with happy hearts, full bellies, and priceless memories which will from now on be known as Mystique. You two are now honor ally members of the family who we all hope to see you again! We loved, loved, loved our Greek adventure! In no small part to you two. Captain Mike took us to the most beautiful coves and hidden gems in the sea. Absolutely breathtaking! Elena was a master 5 star chef who kept us guessing on what delicious meal was coming next. Thank you so much for a wonderful week of laughter, joy, and exploration. Untill next time! Sails up! Favorite lunch was the gyros and lamb meatballs. Favorite desert was the banana pie that Michell almost dropped. Thank goodness she didnt! All the food was top notch! The heart of a wonderful stay. Dear Mike and Elina, we love you! Thank you for being this boats crew. We all enjoyed your food and even helping me connect my PS4. Thank you once again. Dear Mike (Captain Jack Sparrow), Thank you for the most amazing trip and for taking us to some lovely places! You have been so calm all the time and made us feel very safe on board. And the girls won the race yippee! You are very good at UNO. Hope to see you next year! Travelling 5000 miles to get here was more than worth it!! !We fly out on Monday, and wish we could come back on Tuesday! We loved the itinerary and every island we visited. Without your ideas and expert navigation we couldnt have experienced all this. Your company, jokes and laughs were great. Even better was the beauty salon. Thanks heavens our hair looked good because our figures are ballooning with all the amazing food. We hope to see you in Miami, and well be the captains and cooks for you. Fabulous! The food, the islands the company was great. Thanks for the trip of a lifetime! We appreciate you finding the best route for us so we had a smooth sail with relating areas to swim. Every day was perfect and we did not want to leave. Georgy and Emilia, the best crew ever met in the sea! Excellent steering of the cruise by Georgy who took us in the most beautiful places around the islands of the Dodecanese. Emilia: What to say for your cooking style: Unbelievable! Gaia will make every attempt to copy your recipes good luck to her! We will remember you moussaka for a long timeWe were taken care of in the most efficient and professional way! This has been an absolutely spectacular trip an unforgettable experience! We have happily enjoyed a family, a wonderful country, one that that you have shown us with great appreciation. All the places we visited were astonish highly beautiful, you have taken great care of us. The sailing, the safety, the wonderful energy of the crew and of course the food Emily cooked more absolutely spectacular. It was a real pleasure to make this trip with two professionals like you two. We will miss you both...You took great care of us and you exceeded our expectations. Your marvelous attention to details has made all the difference in our experience on board. George, a couple of lithrinia may not retain your reputation as a fisherman your try however was impressive.Emily we may have not challenged your cooking, yet your discreet shadow looking over us has made this trip most pleasant and memorable. A truly great 6 days sailing around the Greek Waters!! Lots of fun food and alcohol ! Thank you Emily and George for looking after us in such a friendly and nice way and for bringing us back in one piece!! Θέλω να σας πω ότι πέρασα τέλεια μαζί σας ήταν η πιο ωραία βόλτα του κόσμου με σκάφος. Σας ευχαριστώ που με κάνατε τόσο χαρούμενο! Laurie and i would like to thank you for providing us a wonderful experience in the Cyclades over the last week. Your professionalism and attention to every little detail made for a special adventure during our visits to each beuatiful island. This experience was special for me because it is the first time that i have been able to enjoy the magnificence of many of the Greek islands from the sea. The skills of captain George were evident during one day of rough weather. He was able to navigate through rough weather with ease. At the same time Emilia made sure all of us were happy and very well fed with her special cooking skills. You provided us with the best experience of Greece and we thank you very much! You have ruined Greece for us ! How can we ever see it again with out you ? You both have made our trip through the Cyclades perfect. Wether good weather or bad you made each day a wonderful experience. The food was the best we have had in all of Greece. George´s fishing skills are now legendary. The beauty and the silence of the catamaran under sail is something we will remember as a special part of our Greek experience. Thank you , thank you ! As we head to Crete we are already missing you ! The journey we had a pleasure to go through, which brought us an unforgettable experience, wed like to thank for so the hard work and great service of the crew members would not be forgotten. We would like to say great thanks to Captain George for being both friendly and professional, showing us this little world we would never expected to find in Europe, where the places we visited would leave warm and kind traces in our memories. The atmosphere which was created for the perfection of our holiday made us feel in our own planet without any discomfort which persuaded me to transfer all of our good and thankful feelings in this letter. Sharing with you this wonderful week in the Greek islands was very special and a wonderful experience . Many many thanks for all your warmth and caring. We had an amazing experience on the Mystique, floating on oily waters on our way to Mykonos which looked like a dream. Cyclades and Peloponeso islands, night navigation, even herculean effort to repair one of the engines showed that both of you make a perfect team to enjoy safely an incredible holiday on Greece waters. Food was superb, we will always remember you guys and this excellent week on this amazing catamaran. 1. If your champagne bottle is smaller than 6 liters, you are doing it wrong. 2. Never ask Christina if there is another course of food. There is. 4. Attention! Anchor! = swim time! 5. If its your birthday, George is your DJ. 6. Wine glass maximum acceptable loss rate (also known as WMALR) is 25%. 7. If you go horse back riding in Paros and they ask your skill level Always say advanced . Seriously. 8. Dont screw with the Mykonos pelican. 9. Breakfast at 1pm is the new reality. 10. The Russian way is the only way! Thank you for an incredible week. George & Christina- you guys are the best! Olive Oil= that´s what we understand greek cooking was based on- but so amazing. Never forget the beautiful beached we discover, thanks to you. Do you know that the Lagoon 500 can sail? we discovered it once or twice,the rest of the time the engine took us very more faster to the beautiful beaches! Remember for ever the 18th birthday of Laetitia, the care, the balloons. Thank you so much. Full of sun, memories, pictures, we go back to France and tell our friends how Greece is beautiful! Uneasy to find the words to describe how wonderful is a week on a Lagoon 500 with George & Kristina! Lot´s of thanks & Kiss from us! Thank you for the wonderful memories. We loved Christina´s cooking and smiling face waking up to greet us every morning! George thank you for getting us safely to Mykonos and back. The kids loved being tossed off the boat. We will always remember our trip to Greece and our friends on Mystique. He who enjoys doing and enjoys wha the has done is HAPPY. We wish you all the best with the secret hope to meet you again. Coming to the origin of our civiliazation was not an unknown but you were unknown to us. Christina and Georgy or Georgy and Christina thanks for your hospitality, your smiling faces.